구향숙,(2013).다문화가정 청소년을 위한 자아존중감 및 자기효능감 증진 프로그램의 효과 분석.한국지역사회복지학,45(),83-112. 본 연구는 다문화가정 청소년의 자아존중감 및 자기효능감을 증진시키기 위한 집단 상담 프로그램을 개발하고 그 효과를 검증하였다. 개발된 프로그램의 효과를 검증하기 위해 칠곡군에 거주하는 다문화가정 청소년 7명을 대상으로 주 1회 3시간씩 프로그램 6회기를 실시하였다. 연구결과는 다음과 같다. 첫째, 본 연구에서 개발된 프로그램은 다문화가정 청소년의 자아존중감을 p<.05 수준에서 향상시켰다. 둘째, 본 연구에서 개발된 프로그램은 다문화가정 청소년의 자기효능감을 p<.05 수준에서 증진시켰다. 질적 분석을 통해서도 본 연구의 프로그램을 통해 다문화 가정 청소년의 긍정적 자아관, 문화정체성, 사회적 기술, 불안 감소, 자신감, 문제해결력, 긍정적 사고, 주의집중 등이 향상되는 것으로 분석되었다. The purpose of this study was to develop the group counseling program and test the effects of that to enhance self-esteem and self-efficacy for multicultural families" adolescents. The program was carried out 6 times, 3 hours each time, with 7 multicultural families" adolescents live in Chilgok gun to verify the effect of program developed. The results were as follow ; The developed program in this study improved the self-esteem and self-efficacy of multicultural families" adolescents on the level of p<.05. 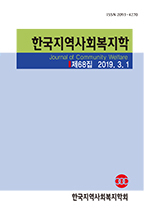 And this program also was analyzed by using qualitative analysis bringing an improvement of multicultural families" adolescents" self-confidence, personal relationship, sociality, self-disclosure, positive mind, concentration, etc..